So, what does Nerja itself have to offer by way of diversions and activities for families who have children, and especially young children? 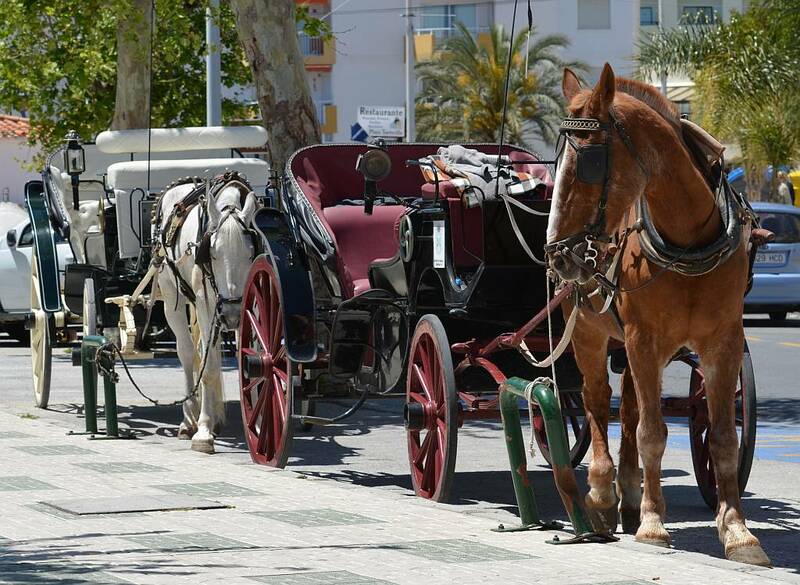 Take a leisurely tour of the town the old fashioned way in a horse and carriage. The tour starts (and finishes) at the Plaza Fabrica de los Cangrejos and lasts roughly thirty minutes. The cost is €25 per carriage, regardless of number of occupants. 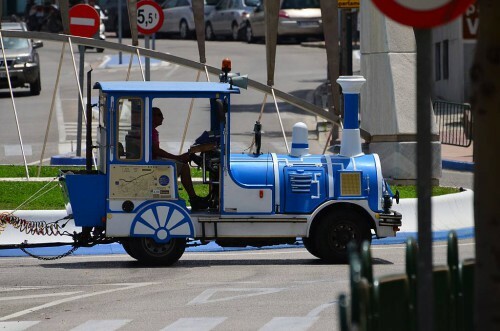 The Tourist Train has returned to Nerja so you can once again take a tour of the town, maybe even having a good sing-song along the way if you so desire. The tour starts and finishes in calle Diputación, just before Plaza Cavana. And, of course, there are plenty of beaches to choose from, and several offer a variety of activities for the kids. During the summer months, there is a children's club/camp on Burriana beach offering a wide variety of supervised activities and on Torrecilla beach, a number of children's activities take place at regular intervals. A trip to the fabulous Nerja Caves is a definite 'must'. There is an indoor soft play area: Dino Park in Almirante Carranza (just off calle Chaparil down towards Torrecilla beach). During the summer season, there is a bouncy castle and a trampoline installed at the bottom end of Plaza Fabrica de Los Cangrejos, overlooking Torrecilla beach, and throughout the month of August there are nightly performances and activities in the square, several of these aimed specifically at younger audiences. Over the Christmas and New Year period (school holidays), the Sala Mercado, the old covered market in Plaza de la Ermita on calle San Miguel, becomes a supervised play area and centre for various activities such as painting, drawing, storytelling etc. 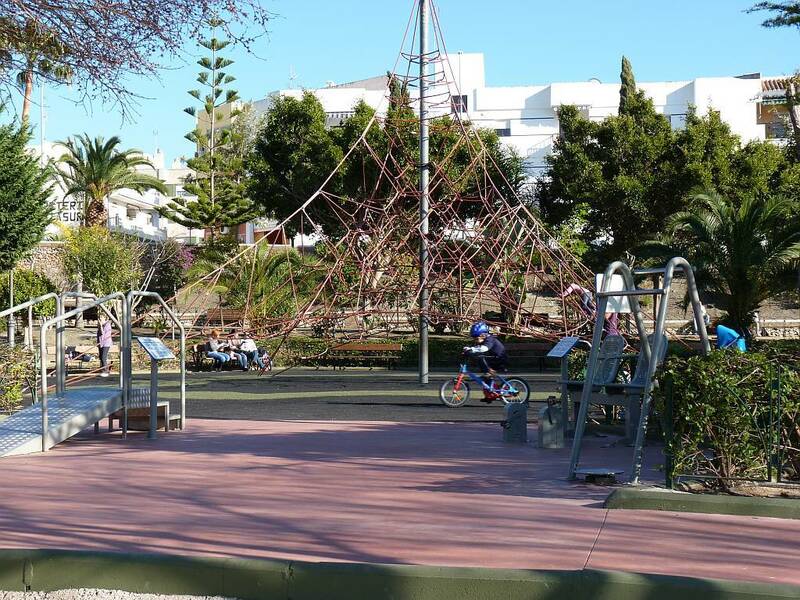 There are ordinary playgrounds and play areas with various pieces of apparatus throughout the town, including on several of the beaches, where you can easily supervise their activities yourself and you will find many of these on the Play Areas Map. The play area in Parque Verano Azul is particularly good, comprehensive and sizeable. The restaurant La Marina in Plaza Marina has a large terrace so, if the kids get restless, you can let them play, safely, in the adjacent park while you enjoy a relaxing meal. 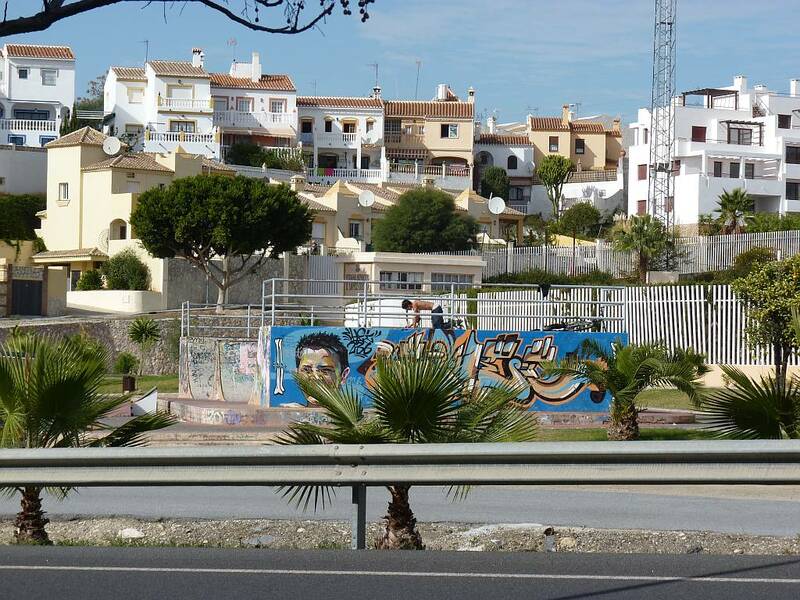 There is a small skatepark near the Nerja Club Hotel/Supersol supermarket on the N-340 coast road out of Nerja towards Maro and the Nerja Caves. For the sporty types, horse riding, diving, snorkeling, canoeing, quad bikes and jet skis are all activities which are available in Nerja itself, see Things to Do for more details. Plaza Tutti Frutti, the centre of nightlife in Nerja, is a magnet for teenagers. Always the first place to look if you're missing one! Eating out is no problem. The Spanish are very family oriented and so the vast majority of restaurants are what you would describe as ‘children friendly’ and many offer a special ‘children’s menu’. The Spanish tend to eat lunch between 1:00 and 3:00pm and dinner between 6:00 and 10:00pm, even later during the hot summer months. 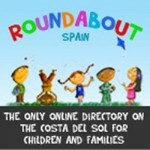 Looking for more ideas on how to keep the children entertained on holiday, then take a look at these useful websites: Roundabout Spain - An online directory for children & families on the Costa Del Sol, with ideas for indoor and outdoor activities and even places to eat. 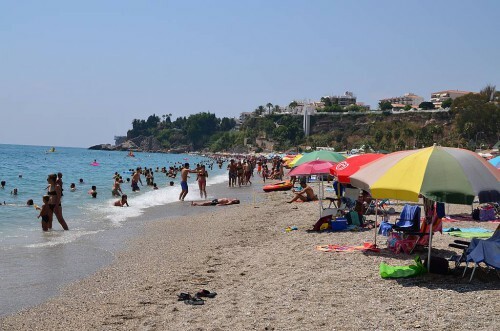 Big Lovely Day - An Andulucian Family Blog, created by Grainne and featuring her family's advertures throughout the Costa Del Sol such as this post on walking Rio Chillar in Nerja with kids.